Are you looking for a unique promotional item? This classic looking knit beanie could be just what you are looking for. Made from fine gauge acrylic yarn, it is both soft and warm. It will not fade or ravel, and the acrylic knit construction will resist dirt and stains yet is washable and will retain its shape for years to come. This roll-cuff design offers the perfect placement for your logo, so all the world will be impressed with your sense of style and taste. 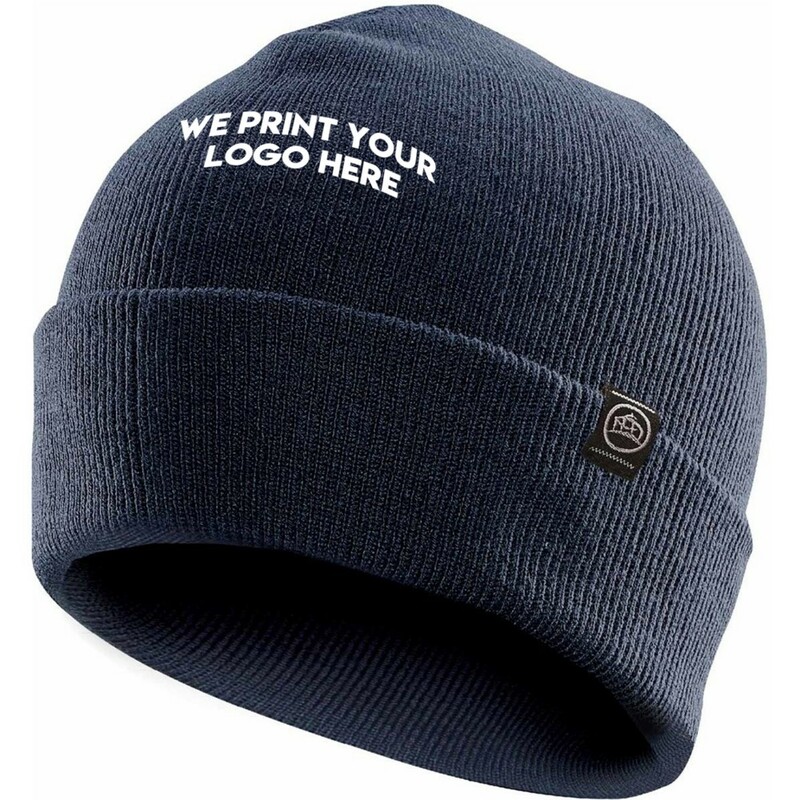 The stretch fit of this beanie is a one size fits all, so there will be no need to worry about guessing the size to fit your customers or employees. Why not offer you customers, potential clients and employees the best value for your money? Not only will the gift be appreciated, but will advertise your company proudly. We are a wholesale company, so please keep this in mind when ordering. We deal only in large number of items per order. Website pricing includes one colour custom branding and excludes GST. A branding set up fee of $60 applies per print colour. Turnaround time is 2-3 weeks from the time your order is placed. We service regional and urban areas across Australia including; Sydney, Brisbane, Melbourne, Adelaide, Canberra, Hobart, Darwin, and Perth.